The University of Michigan was founded in Detroit in 1817 as The Catholepistemiad or University of Michigania. At that time, Detroit was the capitol of the Michigan Territory. In 1837, the Michigan Territory became the State of Michigan, and the University of Michigan moved to Ann Arbor in the original 40-acre parcel that is our current Diag. U-M has maintained our connection to the City of Detroit and its residents ever since. 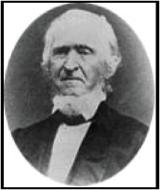 Augustus Woodward, Rev. John Monteith, Fr. Gabriel Richard and William Woodbridge devise an educational plan for the territory of Michigan modeled on the University of France. 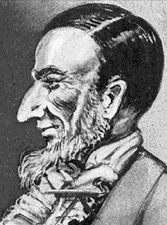 Judge Woodward drafts the Act of 1817 establishing Catholepistemiad, or the University of Michigania that is made into territorial law on August 26, 1817. Rev. John Monteith named president and Fr. Gabriel Richard named vice-president of the University of Michigania. The University’s original seal is adopted on September 12, 1817. 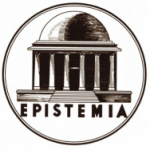 The meaning of “Epistemia” translates to knowledge. Thirteen professorships established: literature, mathematics, natural history, natural philosophy, astronomy, chemistry, medical science, economics, ethics, military science, history, intellectual science, and universal science. Monteith is granted seven professorships, while Richard is granted the remaining six. General Lewis Cass, govenor of the Territory of Michigan negotiates the Treaty of Fort Meigs on September 29th, 1817 and persuades the Ojibwe (Chippewa), Odawa (Ottawa), and Bodewadimi (Potawatami) tribes of the Ohio Valley to cede 3,840 acres of land: 1,920 acres are earmarked to the University of Michigania and the other half to St. Anne’s Church of Detroit. A school building is constructed on Bates Street near Congress Street in Detroit. The University Act of 1821 is passed on April 30, 1821; this repeals the earlier act of 1817 and establishes the University of Michigan. This marks the end of University of Michigania; Monteith and Richards are replaced by a Board of Trustees. 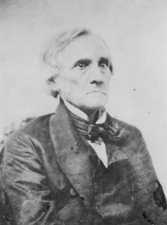 The Organic Act of 1837 creates the University of Michigan, with a Board of Regents, consisting of 12 governor-appointed individuals, replacing the former Board of Trustees. On March 18, 1837, the Ann Arbor Land Company, offers to sell the state forty acres of land for the site of the University. Two days later, the legislature passes an act to relocate the University to Ann Arbor. Native American Land Gift – located on the University of Michigan Central Campus Diag between the Chemistry and Natural Science buildings. The University of Michigan was one of the first public universities in the United States, however, since the university was founded two decades before Michigan established statehood (1837), it cannot receive credit for being a “state” university from 1817-1837.